What has this to do with being disciples? I’m no longer calling you servants because servants don’t understand what their master is thinking and planning. No, I’ve named you friends because I’ve let you in on everything I’ve heard from the Father. When Jesus was on earth before, He believed what every Jew believed. So it wasn’t His beliefs that made Him so different. It was the VALUES He held and lived out which took Him outside the religious and often petty restrictions of 1st century Judaism. His awareness of His own mission was, on one level, a belief, but His sense of call and mission brought a unique set of values. As we share that mission, our values are changed. Beliefs determine a lot of what we talk about, but values determine what we do, and they become evident in what we prioritise. There are some other values that define us – not always helpfully. How do you see yourself? What do you carry with you? An inner confidence that God is for you and you are His child (which the Bible does tell us)? Or do you, like so many – it’s a particularly British ailment – struggle with your self-esteem? So may of us carry, quite unnecessarily, baggage from resentments and unforgiveness caused by things done to us, maybe years and years ago. Unforgiveness is a sin. We either carry it, and it can be seen by others and it defines us, or we decide to forgive, and we don’t carry it and the freedom from it defines us. Anything like that which gets in the way of us seeing ourselves the way our Father sees us, is a negative value we carry. We don’t want to be defined that way. It’s about carrying a particular set of values that make us look like Jesus. And NOT carrying stuff that as Christians we can put down, because it doesn’t belong with us. That stuff is not going to show the nature of Jesus or the Christian life to others – it will create confusion. People read people, and of course people read us all the time. The Jesus they either do or don’t read in us may be the only Jesus they will ever read. That has a lot to do with being disciples of Jesus. It’s not fundamentally about being able to spout Bible verses or being involved in lots of good Bible activities, which is what I was taught when I was much younger. What we DO or talk about counts for little if it doesn’t match who we ARE and how we are – and this comes back to values. Our world is sensitive and suspicious of any ‘mixed message’ – with so many things being ‘sold’ to us all the time, we get quite canny at working out in an instant what is real and what is false. 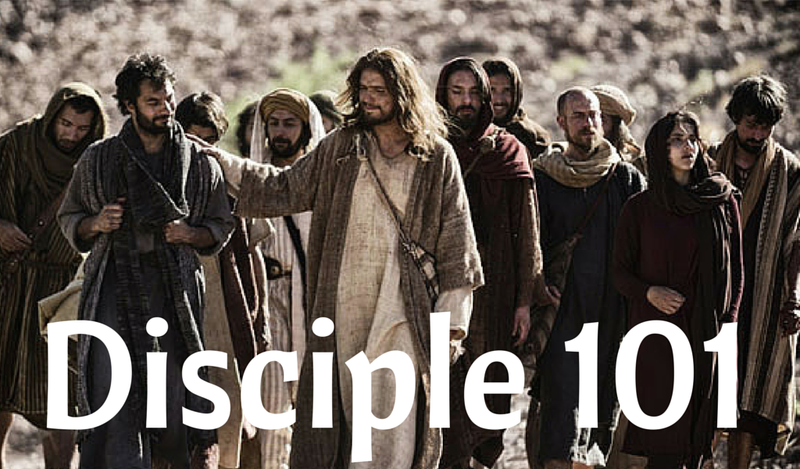 Disciples have a real relationship with Jesus. They know Him. And it shows – they are getting to be like Him. They are on the same mission that He is on. They have a grasp of what the MESSAGE of Jesus was, all the various dimensions of what he said and taught, and they have a grasp of what the MISSION of Jesus was because they have seen how He did life with others. In a nutshell, that is how we grow as His disciples. Red Run Take this further with a Bible study of Jesus’ definition of a disciple from His last words. Black Run A bit more challenging… seven characteristics of a disciple of Jesus.